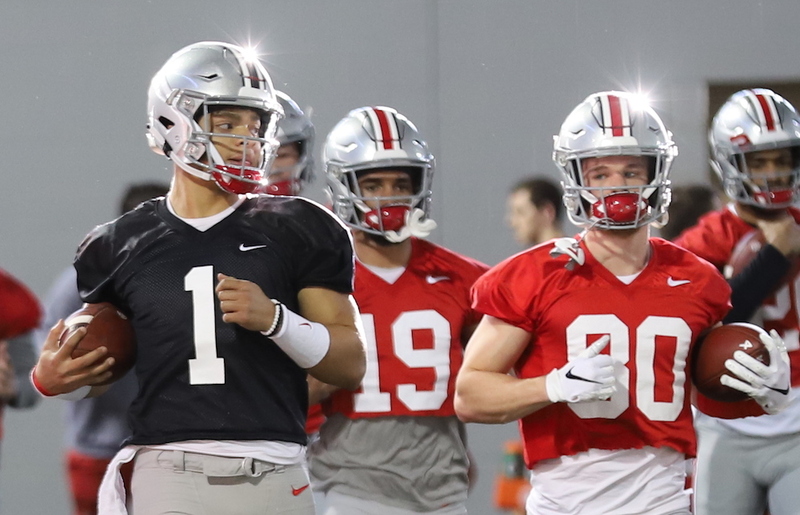 Sophomore quarterback Justin Fields is the latest Buckeye to have his black stripe removed. Following what must have been a productive Monday practice, the Georgia transfer was called up in front of players and coaches to have his stripe removed, signifying his full-fledged membership as part of the Ohio State football team. Fields is the fifth Buckeye to have his stripe removed this spring, and the first scholarship player. Also having his stripe removed on Monday was walk-on defensive back Darryl Sinclair. Sinclair is a junior from Solon who has also played receiver for the Buckeyes. Fields was impressive during Saturday’s practice and did enough in the next practice to get the call. It is not surprising that Fields was the first scholarship player this year to have his black stripe removed. In fact, it’s probably a bit of a relief to head coach Ryan Day that things continue to go well for Fields. During these “ceremonies” the player’s “big brother” comes up and removes the black stripe. It is generally a player who plays the same position. The fact that it was receiver KJ Hill removing Fields’ stripe is a stark reminder of just how young the Buckeyes are at the position. Both Fields and Baldwin are each in their second year of college, and as Day said on Saturday, they are both going through things for the first time ever this spring. Don’t overlook the fact that this happened so early, and don’t think it’s only because he threw the ball well. Throwing the ball is just one piece of the Ohio State quarterback puzzle, and for Fields to have his stripe removed means that he is showing bits and pieces of the command and leadership and toughness that is needed at the position. You can’t have your starting QB walking around with a black strip on his helmet! I agree it sure looks as if Matthew Baldwin is being played. 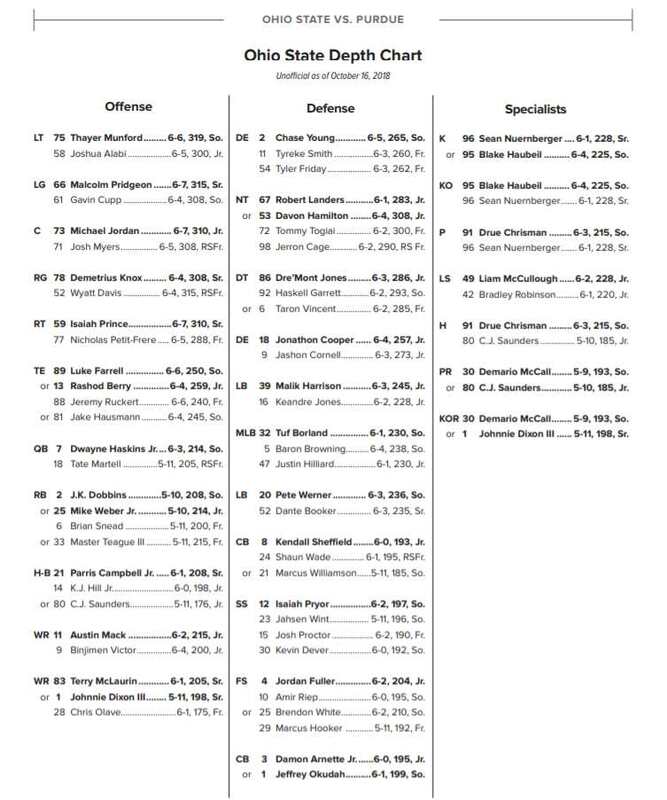 I’d like to be wrong but I can’t imagine anyone picking up the Ohio State offense that fast. The off-field I can get as any mature kid should be able to get in the swing with plenty of mentors helping them, but on-field? Call me skeptical. Welcome to the official Buckeye family. Now? PRODUCE!